oneworld®, the premier global airline alliance, brings together 15 leading airlines from around the world - airberlin, American Airlines, British Airways, Cathay Pacific Airways, Finnair, Iberia, Japan Airlines, LAN Airlines, TAM Airlines, Malaysia Airlines, Qantas, Qatar Airways, Royal Jordanian, S7 Airlines and SriLankan Airlines. 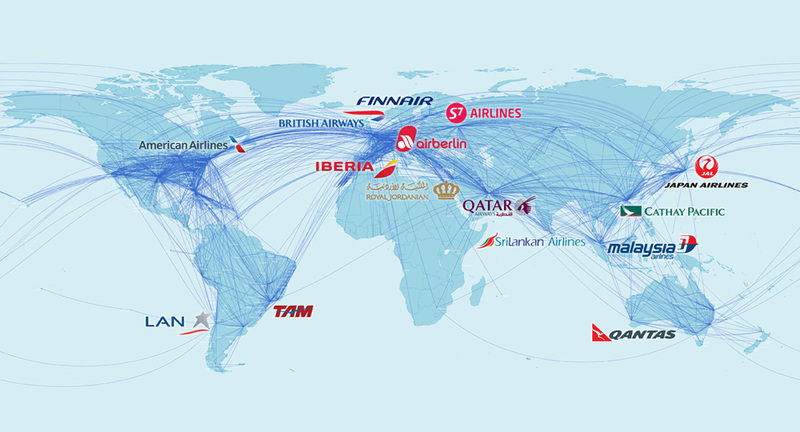 Together with around 30 affiliate members, oneworld’s network currently serves almost 1,000 destinations in more than 150 countries. Attractive flight discounts for attendees and one travel companion. User-friendly booking tool that will display the most convenient flights and multiple fare options. 24-hour support desk – reach us by email or phone. 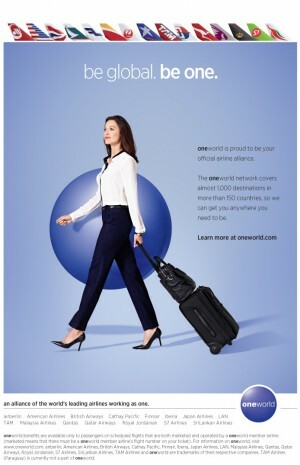 Earn rewards and tier status points on oneworld eligible flights. Frequent flyer privileges, including, for top tier cardholders, access to some 600 premium airport lounges worldwide, fasttrack at security lanes in selected airports and extra baggage allowance. Visit www.oneworld.com/events and enter event code OW02C15 to log in as an attendee and access our convenient online booking tool, customised with your event information. You and a travel companion can then book discounted flights for travel seven days before and seven days after the event. Fares will be available up to twelve months prior to the event.